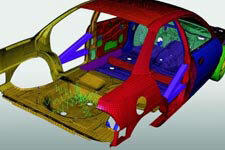 At Hi-Tech, CAE professionals work in collaboration with engineers to combine analysis and design process. This enhances the system development and expertise developed by employees on the other hand, eases matters relating to a project’s cost-effectiveness and development cycle. Contact us to get FREE quote on CAE Services.